The Speakeasy Gin Cocktail Glasses are finished with an elegant smokey grey bowl. Perfect for creating an instantly vintage style cocktail or Gin & Tonic, these gin balloon glasses are the height of sophistication. 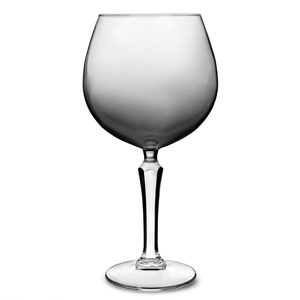 With Libbey's Safedge Rim Guarantee, these cocktail glasses are built for longevity in both commercial or domestic settings. "Absolutely love the look of these glasses. The grey smoke really adds to the design and they're fabulous as a gin bowl. Fantastic value for 12 glasses too. I would definitely recommend!"